The DMV is full of phenomenal people who often go unrecognized for their accomplishments. The Shaun Jai Project is excited to hold an event to acknowledge these individuals for their commitment to our community. It is our desire to showcase these business owners, professionals, leaders, and socialites for their continual efforts to make a difference in our communities. They INSPIRE us to believe in soething greater, to trust humanity, and to soar beyond our woldest dreams! They are our community leaders that paving the way for the next generation. They are our local business owners, that are opening the doors to unlimited possibilites. 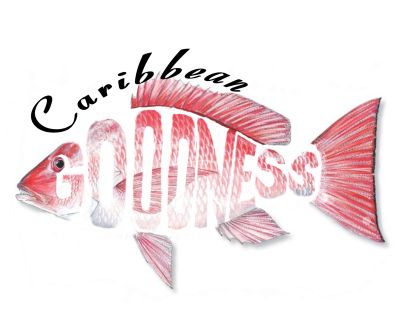 They are are community organizations, that are rebuilding our families and giving back to their communities. 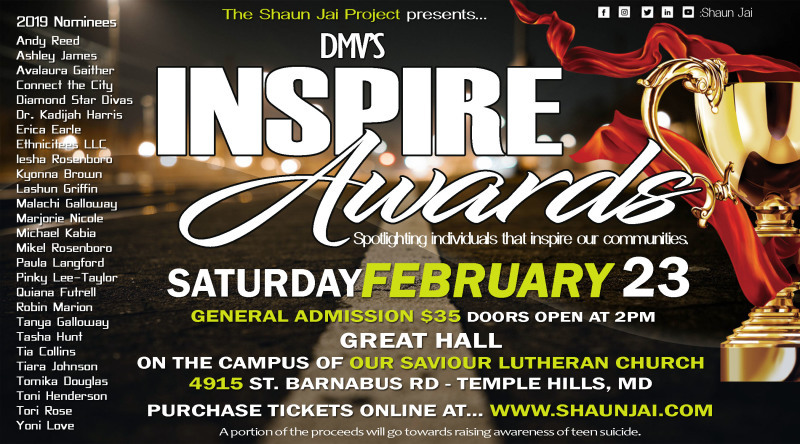 Please join us on February 23, 2019 for an evening of elegance and empowerment as we honor our 2019 Inspire Awards nominees and announce our new Inspire Awards recipients. "The Red Carpet Experience" hosted by Naikeen will be live on facebook at www.facebook.com/ShaunJai at 1:00 pm. Be sure to tune in as we introduce all of the 2019 nominees. Doors will open at 2:00 pm and the banquet will begin promptly at 2:30 pm. Please prepare to arrive on time. Confirmed Vendors: Paparazzi, Damsel in Defense, Beauty by Nature, Sweet Ellusions, Charm Me Charms, Operation Jumpstart Legacy LLC, Bedroom Kandi, Premier Designs, YBI African Apparel & Fashion, Ears of Elegance, Encouraging Apparel, Jbaldymac Raiment Advisor, and Flavors Culinary Group.